At the end of last year, our organization (Penal Reform International) and its partner organizations (Human Rights Centre and Rehabilitation Initiative of Vulnerable Groups) took part in prison monitoring under the National Preventive Mechanism of the Public Defender of Georgia. Our team and that of the Public Defender considered the rights of prison staff alongside the rights of prisoners. At the end of last year, I got to see something I had seen so many times before in Hollywood movies, though this time it was inside a real prison. In life, as in the movies, the stars are always the prisoners, and they can even win Oscars for their roles. But how often do we think about the flip side of the coin, about those who spend no less time in prison: the prison staff? You may agree that the importance role played by prison staff tends to be underestimated both in movies and in reality, not always receiving the appreciation it deserves. Working conditions bear this out: from lower pay and overtime hours to stereotypes in society about prison work. What’s more, adequate working conditions for prison staff are directly related to the quality of the protection of prisoners’ rights. A prison staff member who does not feel fulfilled at work will often see her/himself as a victim, leading to a greater risk that s/he abuse prisoners when given the opportunity, unlike the prison staff worker who is satisfied with her/his job. 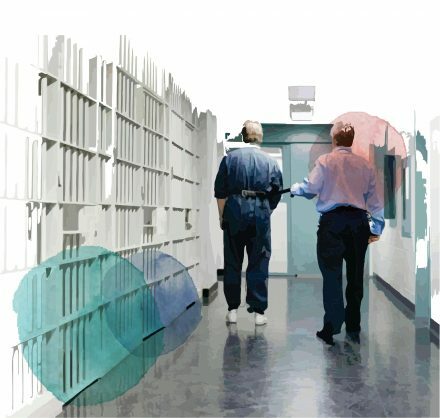 Consequently, the motivation of the prison staff is directly related to working conditions, the “corporate or institutional culture” in place in the prison, the attitude of prison administration, and so forth. Prisons all around the world (Georgia is no exception) have difficulty attracting highly qualified staff. Very few of those working within the prison system tend to purposely seek out a professional career in this sphere: some are transferred to prisons from positions in the military, some are unable to find better employment and opt for a job in the prison system rather than face unemployment; for some a prison job is the first step in a career headed towards another form of paramilitary service for which it is hoped experience obtained in prison will be beneficial, and so forth. I will never forget the words of one prison director that “neither a prisoner nor a prison director comes to prison willingly”, which reflects the nature of prison work prison perfectly. Consequently, staff turnover, the result first and foremost of the stressful working environment, is high. Prison staff are often subjected to verbal or physical abuse from prisoners. This tends to be more severe in high risk institutions accommodating a special category of prisoners. And it’s all topped off by an atmosphere of lock-down and isolation that prohibits employees from taking a telephone onto work premises and having any contact with loved ones. Since prisons are located outside of cities, break times cannot be used to go out and buy products or other items in shops. This problem can be particularly acute for those working 24-hour shifts. Understaffing is another problem that increases workload and security risks, calling the dynamic security concept into question without even mentioning additional working hours, long shifts, and partial use of holiday leave. All this leads to professional “burnout” and employee exhaustion. Stressful work often affects the health of the prison staff, leading to depression, heart disease, fixation on work, inability to relax, and insomnia. Psychological stress can further be accompanied by infectious diseases existing in prison environment: Hepatitis B and C and Tuberculosis. 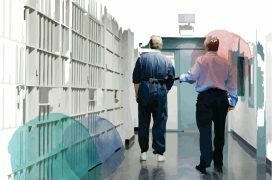 The Bureau of Labor Statistics of the US Department of Labor notes that Penitentiary Officers show one of the highest rates of injuries and illnesses resulting from workplace violence and contagious diseases. One research study purports that on average a prison officer stands to suffer from prisoner violence 28 times over the course of her/his career, which includes cases of hostage takings, physical assaults, murders, and other attacks. According to the same study, every fourth correctional officer in Canada suffers from work-related post-traumatic stress disorder. The risk of suicide is also significantly higher among prison officers than police officers. As for the employment of women in the prison system, although gender-based discrimination is absent from the prison staff selection process, prison work is still considered a man’s job due to gender stereotypes in society. We can say with certainty that female prison employees face greater challenges than men in Georgia as everywhere in the world. Here I mean cases of sexual harassment, examples of which are well-known and widespread throughout the world. For instance, in the United States, 500 female employees of one of the largest federal prisons filed a joint sexual harassment complaint against male prison staff as well as prisoners. The women’s lawsuit described in detail the stress women have been forced to endure and how they’ve reacted by wearing uniform polo shirts and pants two sizes too big, using unscented soaps, removing perfume from everyday use, wearing handmade smocks over their uniforms, and even changing their way of thinking to receive less attention from the male prisoners and employees. The federal government agreed to $ 20 million compensation and signed on to the promotion of reforms aimed at improving workplace safety. In another case in Northern Ireland, a female prison officer returned to work after maternity leave while she was still breastfeeding and received compensation for being subjected to discrimination, bullying, and harassment by her colleagues. The situation in Georgia is not so different: we all remember “The White Banners” and doctor Nunu. Although many might not agree that Limona’s reading of “Tano-Tatano” to doctor Nunu could be considered sexual harassment (jokingly), it would not be out of the question in today’s reality to argue that it was. Unfortunately, there are cases of sexual harassment that remain unaddressed in prisons (especially in high risk institutions) because the establishments lack appropriate policies and procedural regulations. According to international standards, the prison staff’s stressful working environment must be compensated to a maximum extent by social security guarantees, physical security guarantees, appropriate working hours, adequate remuneration, the existence of a variety of encouragement mechanisms and incentives, and a psychologically supportive environment. This may involve stress management and “burnout” training, free psychological assistance for prison personnel, etc. However, the reality is that almost all prison staff in Georgia can confirm that their salary does not match the difficult working environment. In most prisons, it is the usual practice to require overtime hours (including holidays) that are never recorded and therefore not compensated. Another problem is the full use of holiday leave: employees “are given” a maximum of 10-12 calendar days per year. There are no showers or comfortably furnished rooms for the personnel working 24-hour shifts. Even eating food can be problematic due to the absence of a cafeteria. Staff are forced to eat the dry, pre-made food they have brought from home at their desks. From January 2019 Special Penitentiary Department introduced a new initiative for staff working in 24 hour shifts: they will be provided with 2 free meals per day, which is welcoming initiative. In order to paint a fuller picture, we should add that career advancement in prison is less likely due to a strictly centralized system. As regards incentives, the system lacks an incentive mechanism that would individually assess the work carried out by the employees. Symbolic incentives, including monetary incentives, are available, though they are issued only periodically and for specific position holders and not by assessment of individual work, which does not serve to raise motivation in any way. I would like to emphasize that effective prison management requires appropriate investment in personnel selection, training, professional development, and employment. The State must protect prison staff from work-related stress and violence (including gender-based violence), provide these people – who are so essential – with fair remuneration for their work, social benefits, continuous training and professional development, motivation raising plans, overtime work compensation, and provide them with decision-making power within their area of competence and the possibility of career advancement. These things would most definitely improve the prison working environment and increase worker motivation and the quality of work carried out, which would in turn better serve prisoners’ needs and better protect their rights. Finally, perhaps we too – society as a whole – ought to think about what an important role these people play at the expense of their health and well-being and better appreciate them. The visits in prisons during last year clearly showed that these people may be the characters of the movie and sometimes they really deserve to be nominated for the Oscar.